Early development in Ireland The first telephone exchange in Ireland was opened in 1880 by the United Telephone Company on the top floor of Commercial Buildings in Dame Street with five subscribers. Initially a boy was employed to operate the switchboard, but finding time hanging on his hands, he adjourned to the court yard to play marbles, which led to his dismissal A lady operator, Miss Agnes Duggan, was then employed, and in July 1881 the staff consisted of a manager, three clerks, the lady operator and a handyman who served as fitter, electricians and linesman, he had as helper a boy who carried all the tools in a straw basket on his back The subscribers had grown to about 20 at this time, and as may be imagined, the switchboards were extremely primitive, subscribers were not 82 answered immediately when they called but had to wait patiently till the operator rang them back to ask their requirements. Continuous service was not thought of, the normal hours being from 9 a.m. to midnight. There was a discussion about the type that would be made available, so I had to dig a bit deeper in the terminology of Copper, Fibre , cabinet and premises! Fibre-to-the-Cabinet (FTTC) involves running fibre optic cables from the telephone exchange or distribution point to the street cabinets which then connect to a standard phone line to provide broadband.This is combined with a copper cable from the cabinet to the home or business which uses VDSL or similar technology that can deliver much faster speeds over shorter distances. Fibre to the home / premises (FTTH or FTTP) Fibre-to-the-Premises (FTTP), also often referred to as Fibre-to-the-Home (FTTH) provides and end-to-end fibre optic connection the full distance from the exchange to the building and can deliver faster speeds than FTTC as there is no copper leg at all. As I mentioned, I am located in East Galway, and to get internet access( apart from dial up) and wireless modem access, none of the Telecom companies service us, so it’s thanks to local operators such as Airwire and more recently Lightnet, we are having the privilege of internet access. We have been a long term ( 10+ years client) of of Airwire, and I am extremely grateful they are around. Airwire is running an ethernet switched core on top of MPLS. This allows for very low latency and we can offer hosted MPLS anywhere within the core network. We have dedicated base station gear to offer hosted MPLS to customers. The transport media for the network is fiber or fixed wireless. On top of that we run a dual-stacked IPv4/IPv6 network. Our topology allows that we can scale the network to deliver any amount of bandwidth, if requested by the customer. We have already started to deliver native IPv6 to customers by default, so if they have switched it on (Linux, current versions of Windows and Mac OS X would have by default) and don’t have an incapable router between our CPE and their PC, they would actually be using it already. Practically this means we have an aerial on our roof connected to a router to give us access to signal. Apart from the annual storms in this area, we have reliable internet access! As some of you may remember, I used to run a business from home, followed by a 5 year stint working from home. Thanks to their services,opportunities opened up, I was able to set up a business from home, connect with customers and clients worldwide, something I could have not achieved without access to the internet. The opportunities are real if you have access to the internet ! 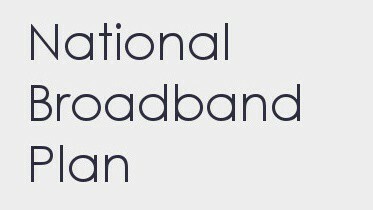 The National Broadband scheme uses your postal code to identify in which zone you are. For those visiting from abroad, postal codes are still quite new( and probably also a bit controversial) as we simply haven’t had them( at least not in the West). Every household has been given one now, or you can “claim” yours. To “find” yours, go to Eircode. Once you have figured out your postal code, enter it on the Interactive Map . AMBER areas – which are the target areas for the State Intervention of the National Broadband Plan. The Mobile Phone and Broadband Taskforce has identified measures in the short term to improve broadband connectivity including in the Amber areas and work is underway to implement these measures. BLUE areas – where commercial operators are delivering or have indicated plans to deliver high speed broadband services. Operators are continuing to enhance their services in these areas to improve access to high speed broadband and to increase speeds to meet consumer demand and customer requirements. Please contact us at Broadband@DCCAE.gov.ie to let us know if you cannot get High Speed Broadband from the providers in your area. LIGHT BLUE areas – new areas where commercial operators have committed to concrete plans to deliver high speed broadband in rural areas. The commercial rollout to these areas is primarily Fibre to the Home (FTTH). By 2018, all homes and businesses in these Light Blue areas can expect significant improvement to their broadband services. There is a FAQ that answers some of the questions, as the map has changed, why it has changed etc. For Galway, check out this PDF, it lists each townland, in case you can’t quite find or remember your postal code. You’ll also notice that some townlands have a mixed area, meaning that some will have access much faster than other!